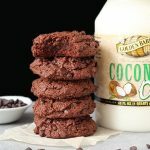 These Chocolate Coconut Lovers Cookies are easy to make, are the perfect balance of coconut and chocolate, and so delicious! 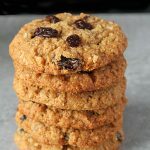 One of my favorite things about these cookies is how easy they are. Mixed in one bowl, only a handful of ingredients, and ready in less than a half an hour. The coconut toasts in the oven as they cook. 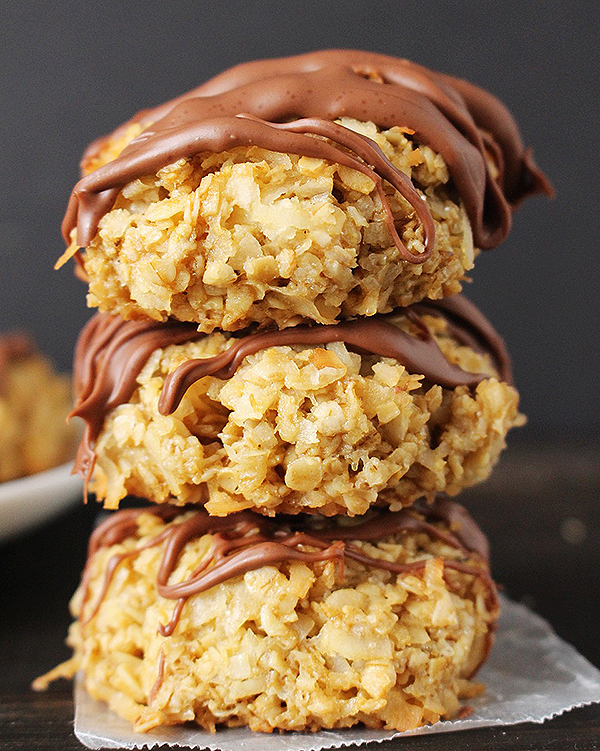 If you like extra toasted coconut then leave them in the whole 18 minutes – they brown so nicely and the flavor is amazing! After they were done baking, I felt like they were still missing something and chocolate was definitely the answer. 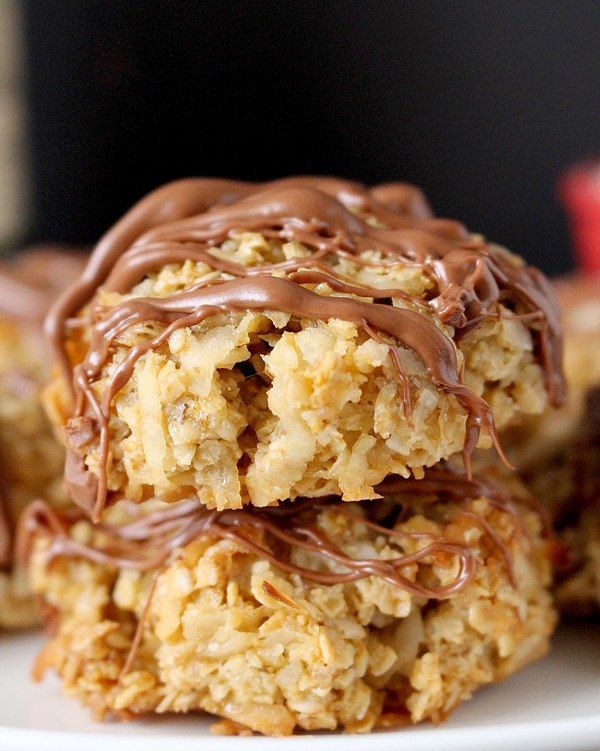 You can drizzle it over the cookies or do a whole layer on them, it just depends how how much you love chocolate. 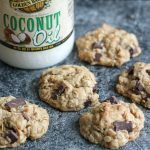 These are naturally gluten free and the Golden Barrel Coconut Oil keeps them dairy free as well. 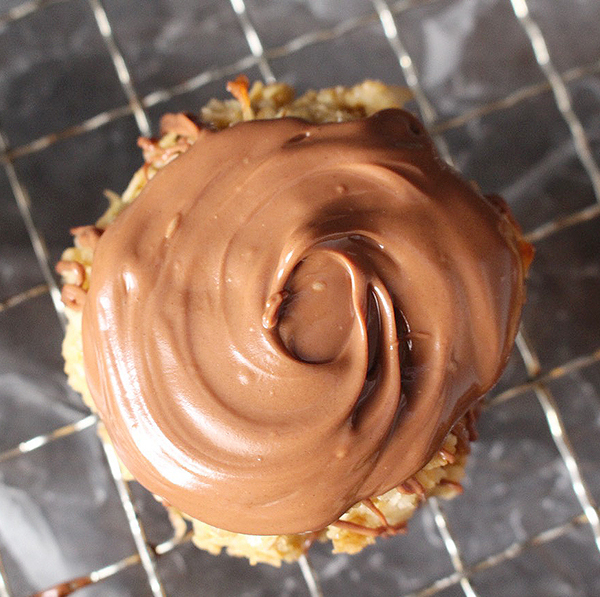 Just make sure to use dairy free chocolate chips if necessary. It’s important to use room temperature eggs because if the cold eggs hit the coconut oil, it will harden. You can leave them out overnight, or place them in a bowl of hot water for 5 minutes and they will come to room temperature. That’s one of my favorite tricks. I brought these to church to share and they disappeared so fast. 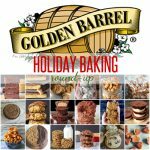 Everyone loved them and that always make me happy to see people enjoy my baking. 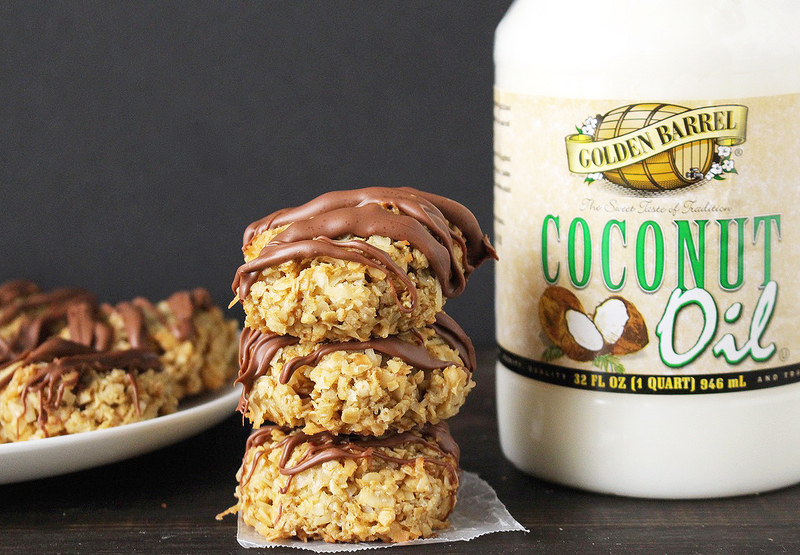 If you like coconut and chocolate then you will love these. 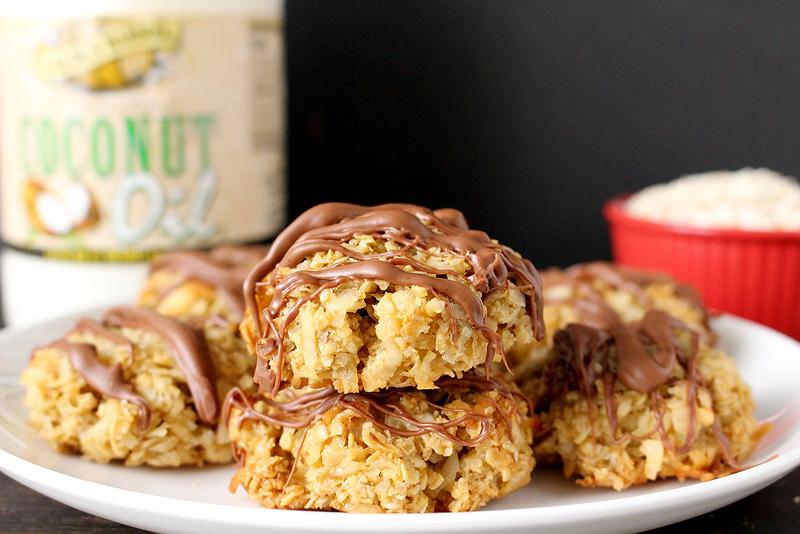 Easy to make, chewy, sweet, and so good! In a large bowl, combine coconut oil, brown sugar, and eggs. Mix until smooth. Add the oats, coconut, and salt. Stir until mixture is fully combined. Using a cookie scoop, scoop the dough and then place between your palms and squeeze the mixture together. This helps hold the cookie together and not fall apart. Shape into a ball and place on the cookie sheet. Press down just slightly so they are flat on the top. Continue with the rest of the dough until all the cookies are formed. They can all fit on one pan since they don’t spread when baked. Bake for 16-18 minutes or until lightly brown. 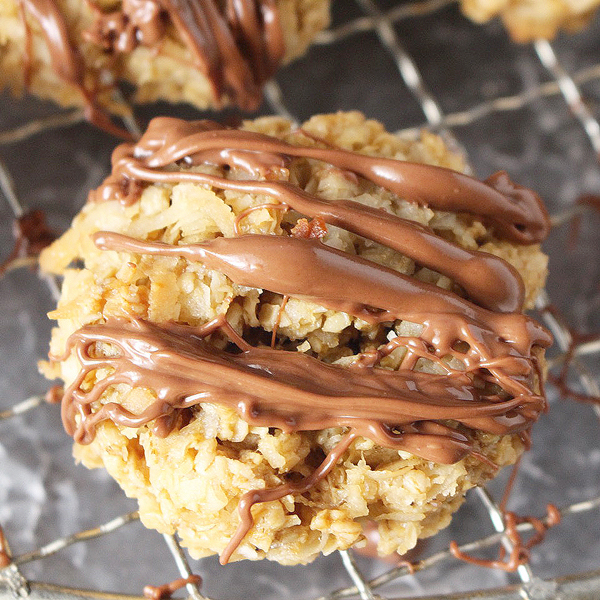 Once cool, melt the chocolate and drizzle or pour over all the cookies. Looks great and so easy to make! 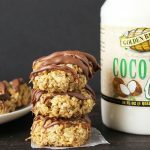 I love coconut and really need to try these! Beautiful pictures! Thanks, Inga! I hope you enjoy them! Thank you for this recipe! Delish and very quick to make. I used butter instead of coconut oil because I didn’t have any. I also put the chips directly into the batter. These are just so good!!! You are welcome!! Thanks for letting me know the changes and thank you for trying them! Glad you like them! These are not dairy free if you use eggs! Hi Jamie- eggs are actually not dairy. Dairy is milk, butter, yogurt, etc. People with dairy allergies can have eggs with no issues. Curious, if I’m using unsweetened coconut will that affect the recipient? I tried this jus now. I had all the ingredients. However i 4got i had dark chocolate in the fridge so i left it out, but sinc i hav mor cookies lef i wil do the drizzle. Its so good. I luv it. I used organic cane sugar sinc i had no organic brown sugar on hand. This is a light brown sugar i used though, and i used unsweetened orhanic coconut shreds. Thnkx 4 sharing ?.